With the success of A Wider Bridge’s highly lauded LGBTQ trips to Israel, we have just announced our 2014 trip, set for late October. This year, we also offer you two other LGBTQ journeys to Israel. So… THREE different trips to the Jewish state? Each of these trips gives you an opportunity to see Israel through an LGBT lens, but each is different, and unique in its own way. So how can you know which trip is the right one for you? This article might be helpful. This year we offer, for the fourth consecutive year, our flagship LGBTQ trip to Israel, October 21 – 30. This is a nine night journey that will take us to the desert, Tel Aviv, the Galilee and Jerusalem, connecting modern Israeli life with our deep historical roots. 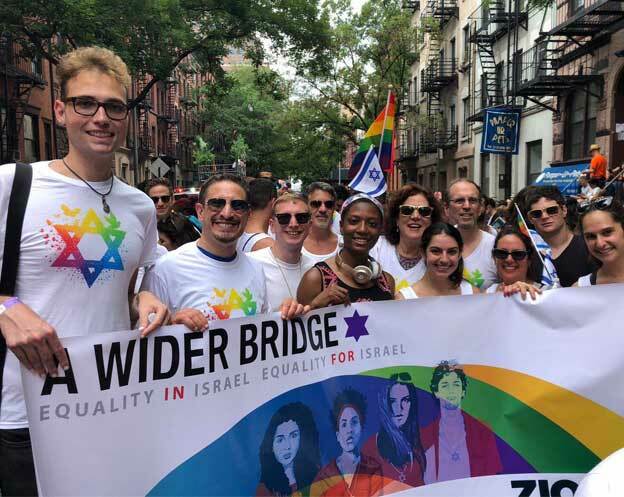 Another option for you is to take Hebro’s “The Israel Trip Featuring Tel Aviv Pride” in June, exclusively sponsored by A Wider Bridge. 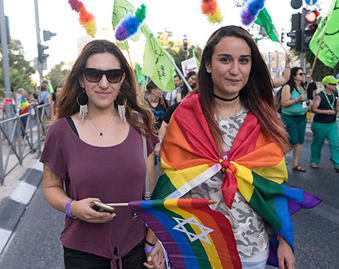 This is a journey through Israel for 10 days, concluding with five days of the Tel Aviv Pride celebrations, including the Tel Aviv LGBTQ Pride parade and beach party. And the third option, also endorsed by A Wider Bridge, is JCC Association’s “See Israel in a Whole New Way” Trip, which is also in June and includes Tel Aviv Pride. This is a twelve day trip to Israel, custom-designed for members and friends of the LGBTQ communities from around North America. So… which one of the trips is the right one for you? Hebro targets their activities to gay men, and the organization is known for its fabulous NYC parties. So the participants on this trip will likely be mostly if not exclusively men, and specifically men who want a trip focused on experiencing the fun and exuberance of the the Pride celebrations of Tel Aviv, which attracts thousands of tourists from all over the world. This is also the trip that will likely attract the largest number of non-Jewish participants. The JCCA trip is slightly longer than the Hebro trip and provides more time in both Jerusalem and in the North of Israel. The JCCA trip is also much more focused on introducing its participants to current issues in Israel’s social and political spheres. The trip run by A Wider Bridge, our “2014 LGBTQ Journey to Israel,” builds on a deep network of relationships with Israel’s LGBTQ communities that we have developed over many years. In addition to providing a great introduction to Israel, our participants engage with a broad range of Israel’s LGBTQ leaders, including activists, filmmakers, musicians, and writers. Our trip is also focused on helping participants experience the broad range of Jewish life in Israel, and on building lasting connections, friendships and community among our participants. A Wider Bridge’s trip is known for the diversity of its participants, people from their 20s to their 60s, from all across North America, from all denominations of Judaism, including those with no Jewish practice at all, and including not only gay men and lesbians but trans and gender queer participants as well. 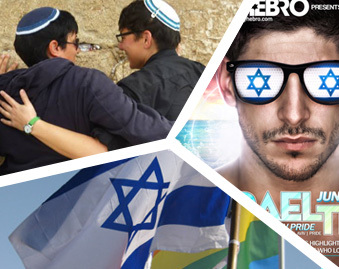 A Wider Bridge’s trip is also open for people from outside North America who want to experience Israel in a special way and build connections with Israel’s LGBT community. We hope there is a right trip for everyone, and we are excited that more LGBTQ people will get to experience Israel in 2014.